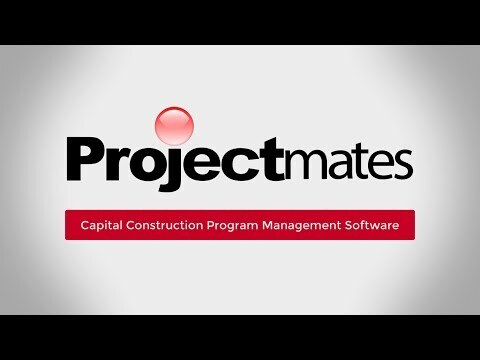 As a monumental step in improving its usability and mobile functionality, Systemates is ecstatic to release V14.5 of Projectmates Construction Program Management Software. This release features a brand new downloadable Mobile App for iOS and Android. Lone Star College System has selected Projectmates Construction Program Management Software for Education to meet North Houston's high demand for new advanced learning centers. By leveraging Projectmates, LSCS is able to maximize its construction program management potential and oversee hundreds of thousands of square feet in new learning space and renovations. Systemates, Inc. will host its first Projectmates User Conference on November 5, where clients will meet with the Projectmates Construction Management Software team and their fellow users while participating in roundtable and educational sessions. The Conference will bring even more values to clients by providing best practices and opportunities for additional usage. As a testament to remaining a secure and trustworthy construction management software solution, Projectmates is proud to announce its SSAE 16 SOC 1 Certification. Systemates congratulates Source Refrigeration & HVAC on receiving the Constructech 2015 Gold Vision Award for its industry-leading use of technology through Projectmates construction project management software. RJP Consulting is a proven expert in construction management with over 25 years of experience in the development and management field for multiple national brand names. With such a wide portfolio of clients, RJP selected Projectmates Construction Program Management Software to maximize their project visibility, collaboration and efficiency. Over the last year, the Projectmates team has released two major versions, incorporating many client enhancement requests. Systemates also implemented a monthly webinar series, training videos, and other educational programs that benefit the construction industry. Kum & Go has selected Projectmates by Systemates to elevate its convenience store construction program to the next level. Kum & Go plans to use the system as a single platform to manage all project communication and workflow. Projectmates software by Systemates releases Version 14.0, packed with enhancements and a new Capital Planning Module. Projectmates constantly strives to remain an industry leading construction program management software. Being committed to growing and evolving with the latest trends in technology, GPD Group has teamed up with Systemates, Inc. by choosing Projectmates Construction Program Management Software for its ability to streamline the immense volume of unique projects it undertakes. Projectmates' state-of-the-art reporting and document sharing features allows GPD to impeccably track and communicate a program's status for its clients. Conn's HomePlus has greatly expanded its chain stores into Louisiana, New Mexico, Arizona and Oklahoma. To handle an even greater volume of projects, Conn's selected Projectmates Construction Program Management Software for its robust functionality and in-depth customization options. Projectmates, one of the most proven online construction program management software, is named a Top Product in Constructech's yearly Top Products awards. Systemates, Inc. is honored to once again receive the award. Poma Retail Development has an extensive and diverse retail development portfolio, so selecting Projectmates software by Systemates was the perfect choice. Projectmates is the most effective construction program management software for retail.